1. Wash and cut the zucchini into round slices. Slices should neither be very thin nor very thick. 2. Soak the zucchini slices into salt water for 5 mins and then drain the water. Finely chop the green chili. 3. 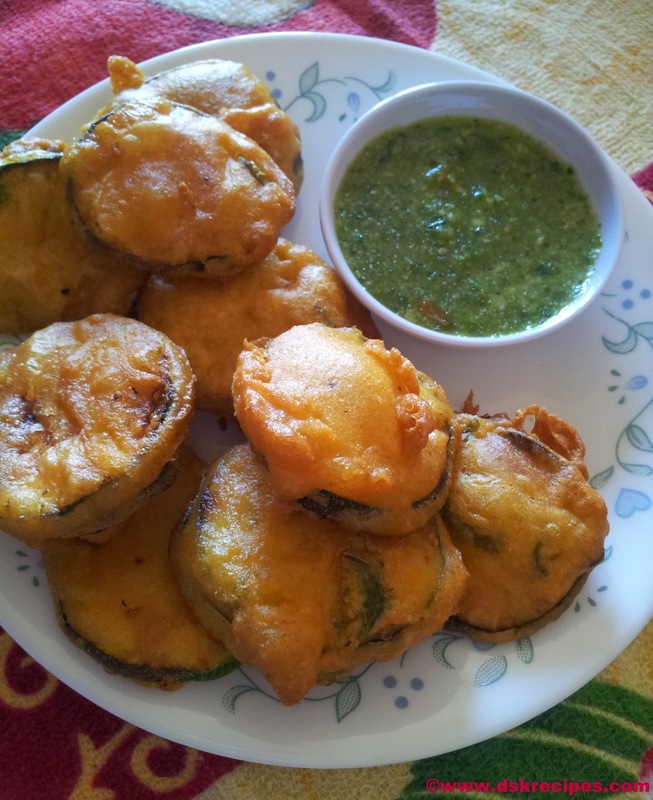 Mix besan/chickpea flour, coriander powder, chopped green chili,chopped coriander leaves, chili powder, cumin powder, turmeric powder, asafoetida and salt along with water to make a smooth batter ( batter should be of pouring consistency). 4. Heat at least one inch oil in a pan over medium heat. 5. 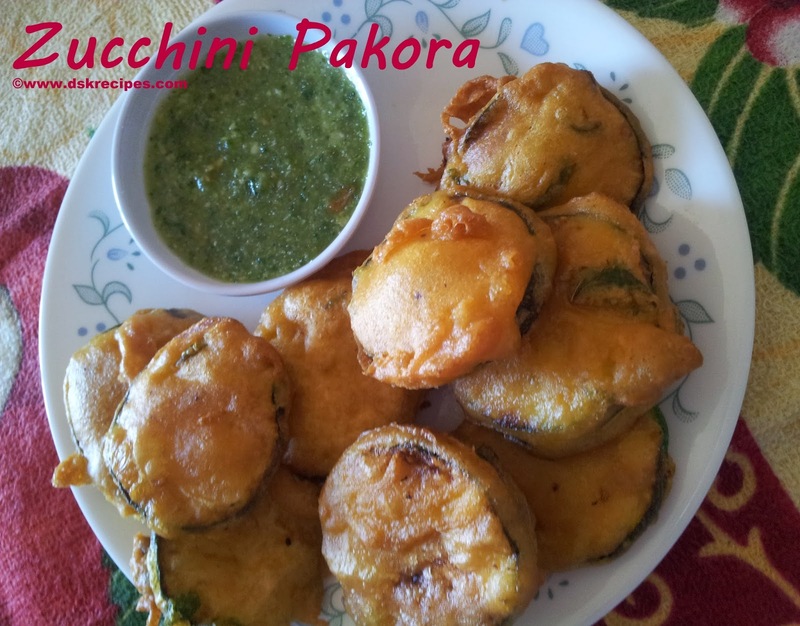 Dip the cut zucchini slices into the batter to coat well from both sides and then drop it one by one in the oil. 6. Fry the pakoras/dumplings, turning occasionally, until both sides are golden brown. 7. Repeat this process for rest of the zucchini slices. 8. Serve hot with chutney or tomato sauce. Thank you Devika Kulkarni for sharing the recipe. I want to finish that plate of crispy fritters,soo irresistible.